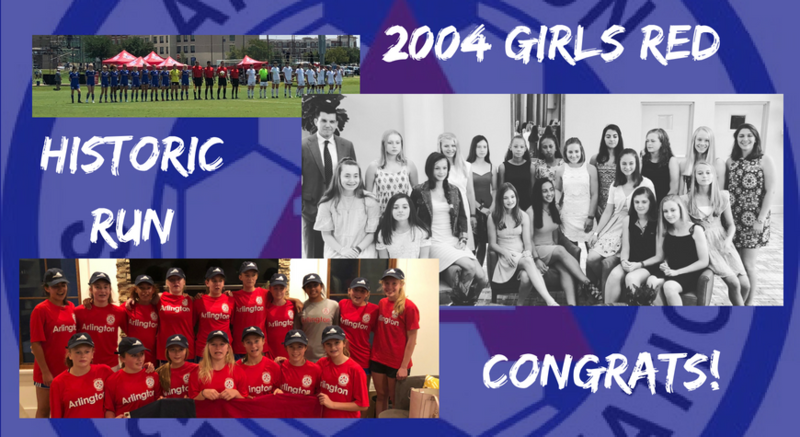 The 2004 Girls Red team ended their incredible two year run at the USYS National Championships this week in Frisco, TX where they finished 0-1-2 against the top teams in the nation. A heartbreaking last minute penalty tied their third game and kept them from advancing to the semi-finals, but the girls can hold their heads high after their long list of successes. This team is the first girls team in Arlington Soccer's almost 50 year history to qualify for the National Championships and we couldn't be any prouder!